What Hours Should You Serve Thanksgiving Dinner? Planning Thanksgiving Dinner in your restaurant can be frustrating and stressful. You have to contend with staffing needs, purchasing the right foods, planning the menu, marketing and ensuring that the customer will be happy. One of the things that can make a difference in your success is when you decide to serve dinner. Unless you plan to be open the entire day and serve, you will have to determine what hours you plan to offer dinner to your customers. Choosing the wrong times can mean losing business and choosing the right ones can guarantee that you see great profits from the day. So how do yo u make the decision? The first thing you want to do is realize that Thanksgiving is a busy day for people. There is a lot going on. Family is getting together, big sports games are on TV and many people are beginning their shopping. While it might seem odd to consider sports and shopping when setting your hours, you have to consider the impact these events have on the day. You do not want to interfere with the top games unless you have them broadcast, on the other hand, being open close to the special shopping hours could be of great benefit. This is what people do on Thanksgiving and you have to learn how to take advantage of it. You also want to look around at the local competition. Are they serving Thanksgiving Dinner? If so, when do they plan to be open? Believe it or not, this is going to impact your success. If you open an hour after they close then you are not going to appeal to those who have already eaten. Instead you want to find out the hours of the competition and see if it coincides with the hours you plan on being open. The fact is that you want to be competitive with the local restaurants. Unless you have established yourself long ago as a place to be for Thanksgiving Dinner then you will need to change your hours to somewhat match those around you. 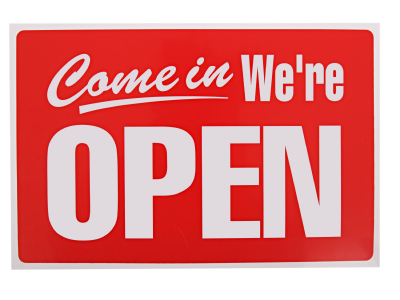 You can add or subtract to their planned hours, but you should meet most of their open hours by being open yourself. This is the best way for you to attract your own customer base and work towards establishing yourself as a Thanksgiving Dinner destination. Then you will be able to set your own unique hours. Keep in mind that you do not want to open too early or too late. Many people prefer their Thanksgiving meal mid-day. This allows them to get together with family and enjoy it while still giving them plenty of time to rest. Pay attention to special things that could detract from your business and work your hours around them. If you plan to have TVs in your establishment, then you can be open during the big game and use that as part of your marketing. Otherwise you will want to steer clear of competing with traditional Thanksgiving Day activities.